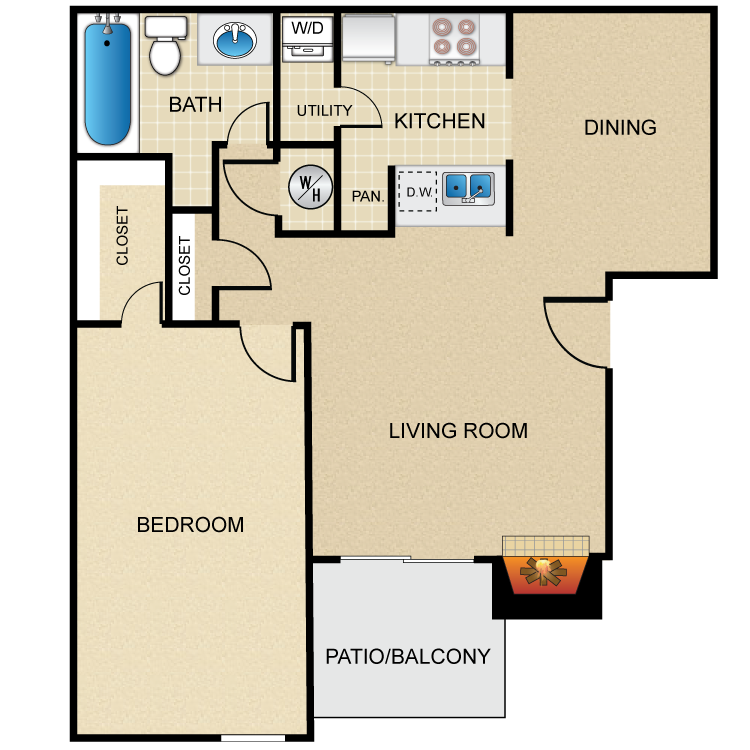 The Lexington Apartment Homes offers three spacious floor plans among our studio, one, and two-bedroom apartment homes, which range from 450 to 954 square feet. 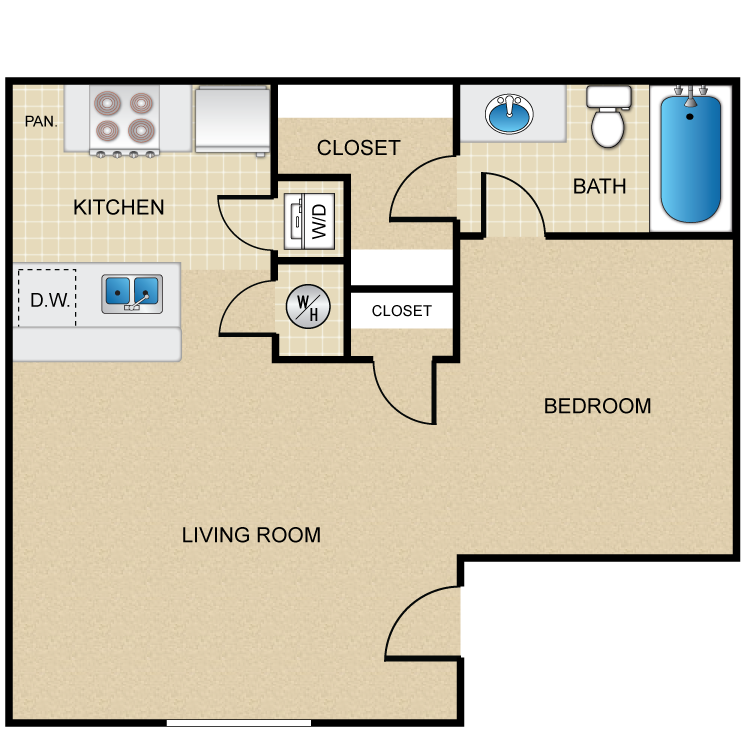 Each floor plan features beautiful hardwood and carpeted flooring, mini blinds, and a well-equipped kitchen complete with all-electric, black appliances. Do you enjoy snuggling up next to the fireplace on a chilly winter evening? Luckily enough for you, select apartments boast wood burning fireplaces. 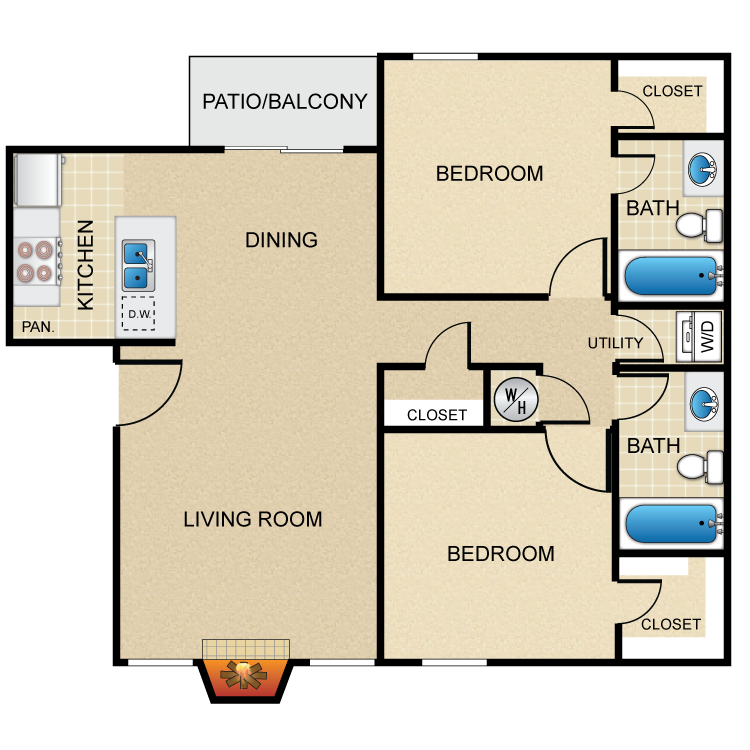 Extend your already spacious floor plan with our generous suite of community amenities! Take a dip in our sparkling swimming pool, meet up with fellow residents in our community clubhouse, or enjoy fabulous perks such as easy access to shopping and dining in Grand Prairie. It all awaits at The Lexington Apartment Homes, your ticket to affordable yet luxurious apartment living. Call to schedule your personal tour today!